This past weekend in New York, forty-two students residing on the Long Island, New York campus of the U.S. 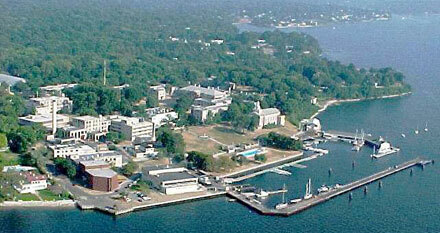 Merchant Marine Academy were hospitalized and treated for carbon monoxide poisoning after the gas leak was found after 9 p.m. Sunday night. When the gas leak was discovered, students and residents of the Academy’s Barry Hall were asked to evacuate the building – a total of 150 students were evacuated as a precaution without incident. The law firm of Leesfield Scolaro and our carbon monoxide attorneys are all too familiar with carbon monoxide poisoning incidents and their catastrophic effects on poisoned victims. Recently, Ira Leesfield and Thomas Scolaro represented over a dozen families who had been exposed to carbon monoxide during their stay at a Key West Resort. That incident resulted in the wrongful death of a young man and injuries to several other guests. The investigation led by the Florida Division of State Fire Marshal noted in its report that two of the boilers of the resort had not been inspected where in Florida, boilers of that size and type were required to be inspected every two years. The failure to have these boilers inspected prevented the resort from discovering clear evidence of soot accumulating on the outer part of the shroud that covers the burners, as well as soot found along the bottom wall, floor and behind the boilers. Investigators also determined that there was a large 90-degree elbow aimed towards the east into the prevailing winds on the roof. This alteration caused a back draft down the exhausting vent preventing the proper exhaust of carbon monoxide. Therefore, as the back pressure increased in the exhaust pipe it reduced the availability of oxygen to the burners causing an incomplete combustion at the burner level. It turned what would normally be a blue flame into a yellow-orange flame causing the creation of carbon monoxide and soot/smoke. This in turn caused an excessive amount of carbon monoxide build up in the boiler room. To further compound the problem, the carbon monoxide could not escape the boiler room due to the boarding up of the louvers on the boiler room doors, which were designed to permit proper air circulation. This prevented the complete combustion from occurring and prevented the escape of carbon monoxide. As the concentration of carbon monoxide grew in the boiler room it further prevented ambient air from entering the boiler room. During this time, the furnace continued to consume the remaining oxygen in the boiler room until it self-extinguished causing the boilers to automatically shut down. After several months of litigation, these carbon monoxide victims entered into a confidential settlement with the resort for their injuries. More recently, Thomas Scolaro represented students who were exposed to carbon monoxide poisoning while sleeping in a university house. The investigation led by the local Fire Department confirmed that, upon entry, readings taken in the main section of the house showed over 200 ppm of Carbon Monoxide. With such elevated and dangerous readings, the investigation halted to let the ventilation process continue. When it was safe to resume, the investigators found that the exhaust pipe for the gas furnace that was heating the house was not exhausting the carbon monoxide, which led to a gas build up throughout the house. Because our law firm continues to represent victims of carbon monoxide poisoning, Leesfield Scolaro became the voice of Florida victims of CO exposure. Due to the relentless efforts of former Florida Justice Association (FJA) President Ira Leesfield, Senate Bill 1822 was adopted, and became effective July 1, 2008. Tagged: "Boiler Room", "Carbon Monoxide Detector", "Carbon Monoxide Exposure", "Hyperbaric Chamber", "Ira Leesfield", "Merchant Marine Academy" and "Thomas Scolaro"